This is a vital part of a skincare regimen and goes without saying that it should be addressed first... And as much as I would like to tell you all about an elaborate cleansing routine with some fancy product, I sadly am super lazy and hence for me cleansing as well as removing my makeup is a single step. 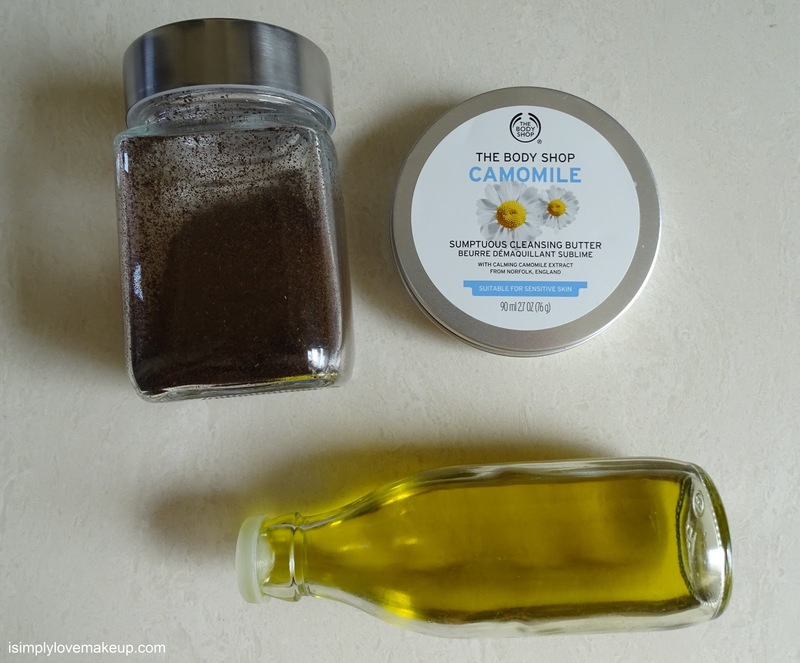 For this I use either a cleansing butter or and cleansing oil and my favorite of the lot and one that I keep coming back to is The Body Shop Camomile Cleansing Butter. I avoid using soap cleansers on my face and have been doing so since the past two years now. I also do not use any makeup remover liquids and my skin cannot for some reason tolerate Micellar Water. I tone once in a while and that too only with Apple Cider Vinegar. The practice and art of moisturising is something that determines how one's skin will be down the years... The most sure shot way to ensure delayed aging of your skin is intake of fresh fruits and vegetables and then intense moisturing. I use a face serum immediately after my shower and then top it up with a day cream. 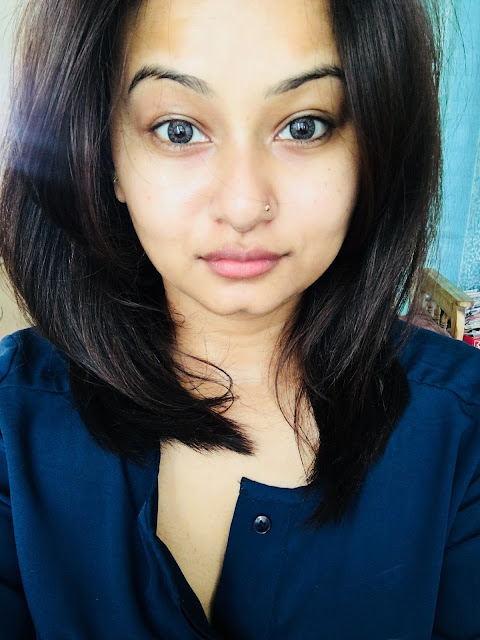 When I was younger a face lotion or something of a similar texture seemed enough for me, however with age I have realized that my skin needs a little more and hence since the time I turned 30 I have been religiously using day creams. 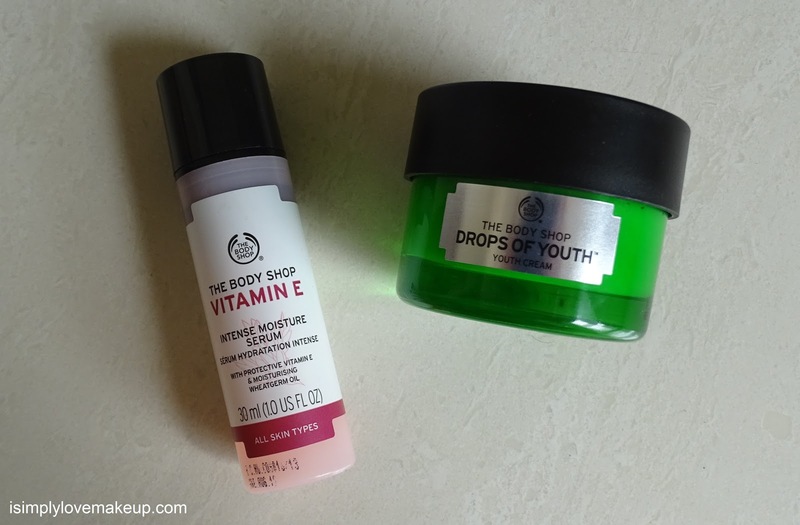 Currently, I am using TBS Vitamin E Face Serum and TBS Drops of Youth Youth Cream. The idea behind using the face serum immediately after a hot shower is that the heat opens our pores and hence your skin immediately absorbs anything that you put on it. My nightly routine is pretty straightforward. 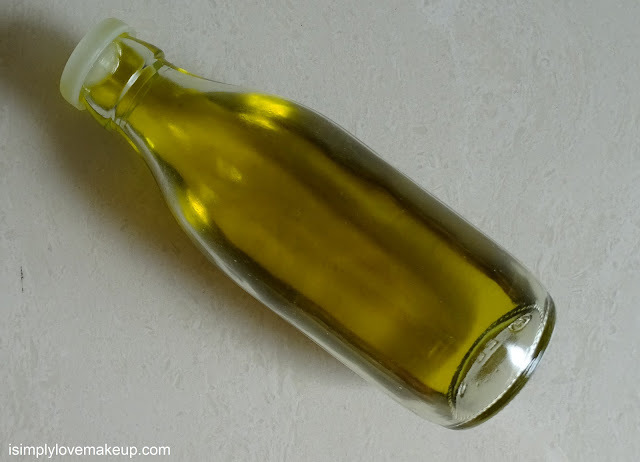 After I cleanse my face and skin I generously apply extra virgin Olive Oil on my face, neck and the decollete area. I let my skin absorb the oil for about 15 mins then wrap a warm and soft scarf around my neck before I hit the bed. Ideally, one should wash and moisturise immediately after coming back home in the evening, however because I am lazy, I delay the ritual till just before I go to sleep! I do not use an eye cream anymore, first because I could not find any that was actually making a difference and second because Olive Oil is known for its anti-aging properties and hence I prefer not to use anything else. Just sometimes (read weekends) I like to indulge myself with a long and leisurely bath followed by some ritualistic moisuirsing and that is when I bring out the big guns aka Facial Oils. 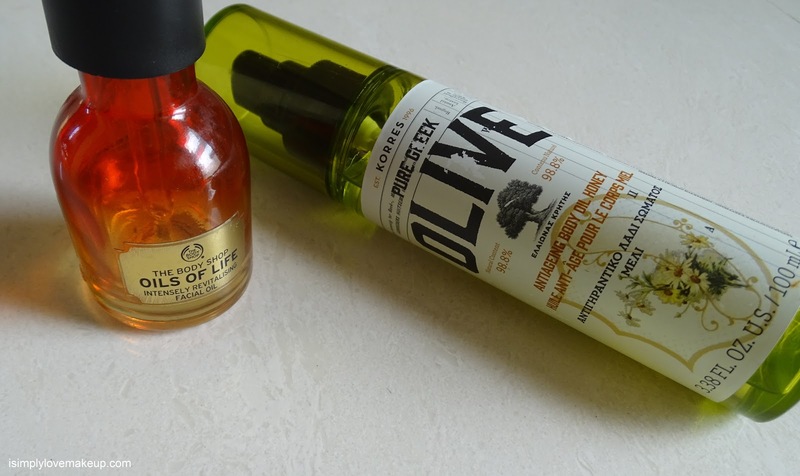 I am currently using and am in love with TBS Oils of Life Facial Oil and Korres Pure Greek Olive and Honey Anti-Ageing Body Oil. 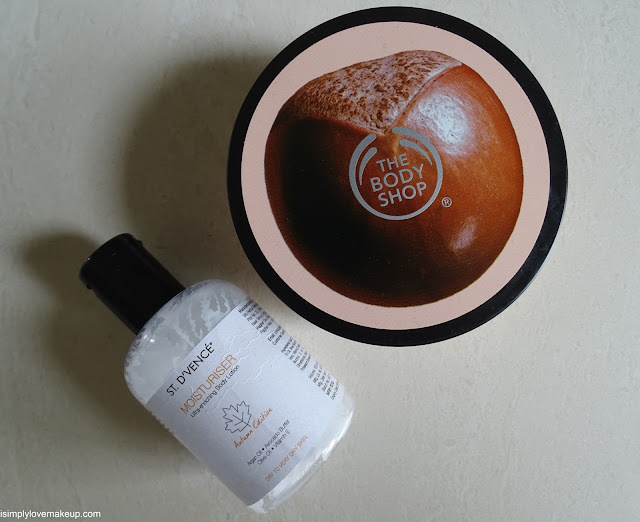 Both are just fabulously hydrating and they smell amazing! With our obsession with our faces (and why not eh? ), we often forget to hydrate and moisturise the other parts of our body. However, if you have dry skin like I do, it is impossible to not lather ourselves with body butters and heavy lotions, because if I don't then not only does my skin get all itchy and irritated, it also starts cutting and bleeding. And so to avoid all that I religiously apply either a body butter or a super thick body lotion all over my body, yes everywhere! 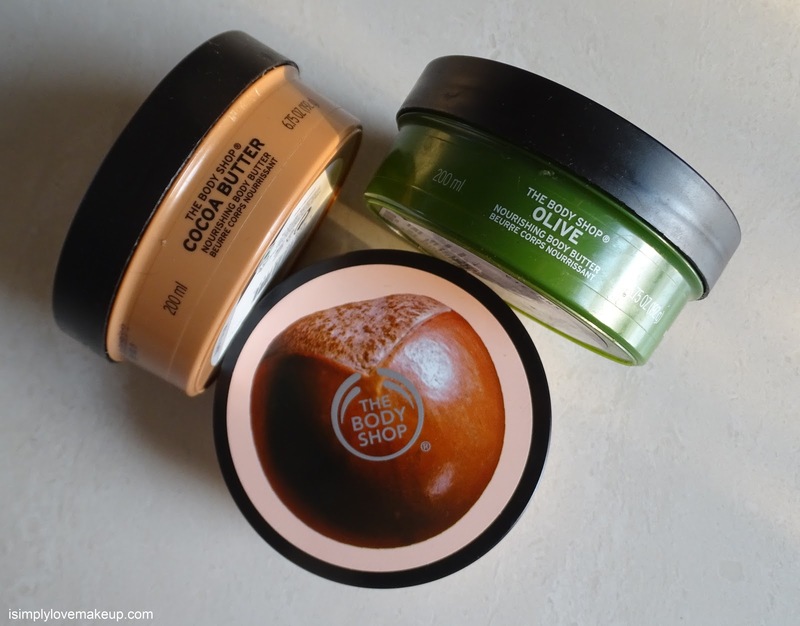 I am a huge fan of TBS Body Butters and the one that I am currently using is the Shea Butter variant. This Winter I also discovered St D'Vence moisturiser that is not only scrumptiously hydrating but also smells divine. I generally mosturise twice a day, once in the morning immediately after my shower and then in the evenings when I get back from work. I am exposed to the sun and pollution mostly in the morning when I go for my morning run. 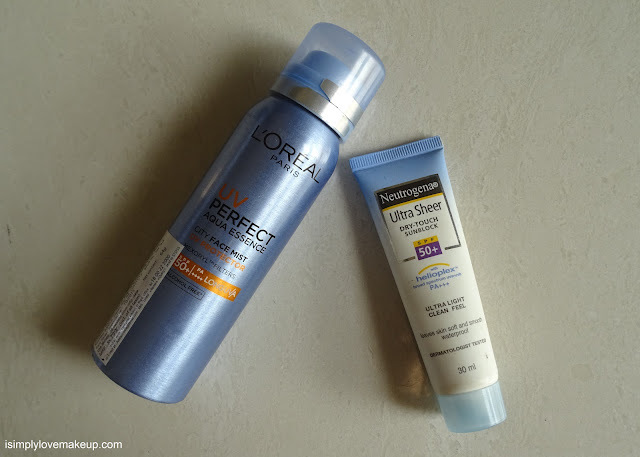 Because I run on the side of the streets, direct exposure to pollution is inevitable and hence I use this novel spray by L'Oreal Paris that only gives me Sun Protection but also creates a shield on my face against effects of pollution. to be doubly sure I also use Neutrogena's Ultra Sheer Dry-Touch Sunblock. I love this particular sunscreen cause it is not drying, doesn't look powdery when applied, does not give a white cast and most importantly does its job! 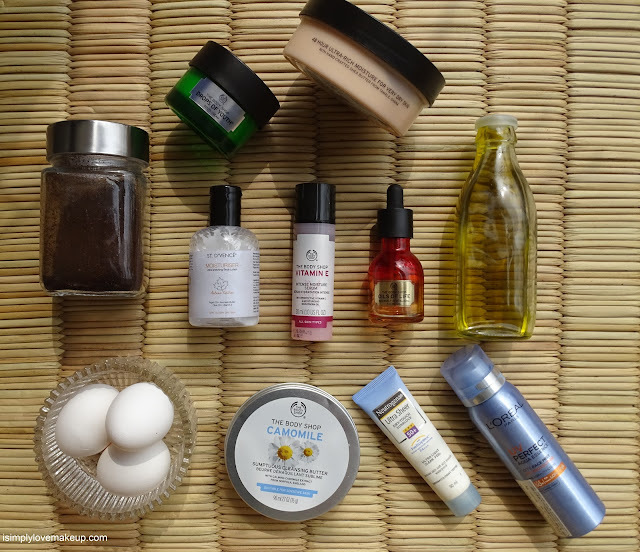 Here was my Winter Skincare Regimen. What does yours look like? This was really soooo sooo motivating and I love that you have been relying more often on organic sources. Can you tell me what coffee u use if not d instant kind.